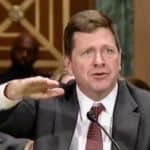 Last week, the Securities and Exchange Commission (SEC) Chair Jay Clayton addressed the Senate Banking Committee. 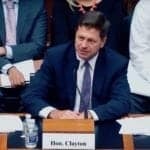 His testimony was a routine trip to Capitol Hill when Chair Clayton is expected to update Congress on their regulatory initiatives and any challenges. 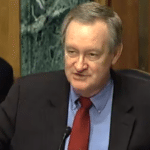 Topics included the declining IPO market, in part driven by the excessive cost of compliance, along with other topics such as Brexit, during the shortened hearing. 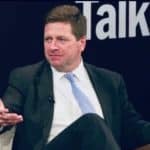 Clayton reaffirmed his statement that he continues to be of the opinion that existing securities law has served the emerging market of initial coin offerings have served the market well. 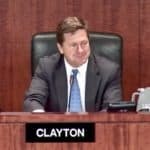 As part of Chair Clayton’s submitted testimony, which usually differs from opening statements given at hearings like this, Clayton said that “significant amount of attention and resources” have been focused on digital assets, ICOs and the emerging crypto marketplace. The complete submitted testimony is available here with the segment that addresses digital assets republished below. You may watch the archived video of the hearing here. The Commission and its staff have been focusing a significant amount of attention and resources on digital assets and initial coin offerings (ICOs). I am optimistic that developments in distributed ledger technology can help facilitate capital formation, providing promising investment opportunities for both institutional and Main Street Investors. Overall, I believe we have taken a balanced regulatory approach that both fosters innovation and protects investors. For example, our staff meets regularly with entrepreneurs and market professionals interested in developing new and innovative investment products in compliance with the federal securities laws. Recently, Corporation Finance’s Director, Bill Hinman, outlined factors for participants to consider when evaluating whether a digital asset is a security and also named a new Associate Director in Corporation Finance to serve as the Senior Advisor for Digital Assets and Innovation and coordinate efforts in this area across the agency. SEC staff is also meeting regularly with staff from other regulatory agencies to coordinate efforts and identify any areas where additional regulatory oversight may be needed. 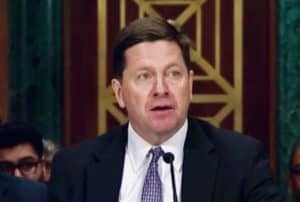 Divisions and offices across the Commission have worked together, as well as with other regulators, to issue public statements regarding ICOs and virtual currencies. In an effort to further coordinate the Commission’s work on these important issues, in October of this year the SEC announced the formation of a FinHub within the agency. 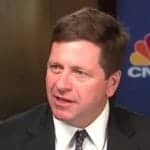 Staffed by representatives from across the Commission, the FinHub will serve as a public resource for fintech-related issues at the SEC, including matters dealing with distributed ledger technology, automated investment advice, digital marketplace financing and artificial intelligence/machine learning. In addition to serving as a portal for public engagement, FinHub will also serve as an internal resource within the SEC, coordinating the agency staff’s work on these and other fintech-related issues. As the work of FinHub and our other activities demonstrate, the agency is focused on issues presented by new technologies, and our door remains open to those who seek to innovate and raise capital in accordance with the law. 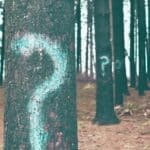 Unfortunately, while some market participants have engaged with our staff constructively and in good faith with questions about the application of our federal securities laws, others have sought to prey on investors’ excitement about cryptocurrencies and ICOs to commit fraud or other violations of the federal securities laws. 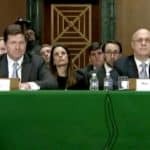 Enforcement has recently brought a number of landmark cases in this area, and I have asked the Division’s leadership to continue to police these markets vigorously and recommend enforcement actions against those who conduct ICOs or engage in other actions relating to digital assets in violation of the federal securities laws. The Commission acted swiftly to crack down on allegedly fraudulent activity in this space, particularly where the misconduct has targeted Main Street investors. Regardless of the promise of this technology, those who invest their hard-earned money in opportunities that fall within the scope of the federal securities laws deserve the full protections afforded under those laws. 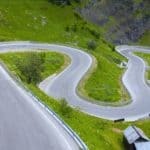 This entry was posted in Blockchain & Digital Currency, Politics, Legal & Regulation and tagged jay clayton, senate banking committee. Bookmark the permalink.